Derek Landy’s new book, Demon Road, is released in NZ on 1 September. I can’t wait and I know there are heaps of Skulduggery Pleasant fans like me who are keen to see what story Derek Landy tells next. 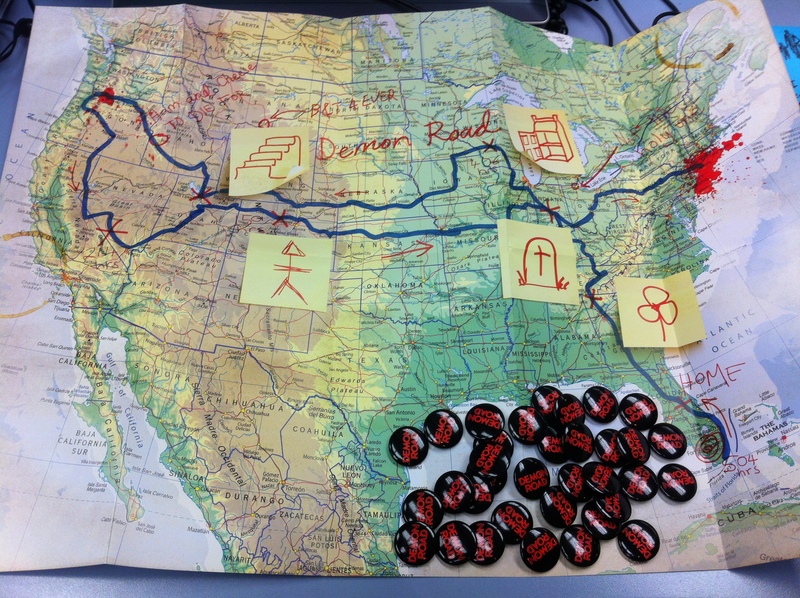 The wonderful people at HarperCollins NZ have created some goodies to promote Demon Road. 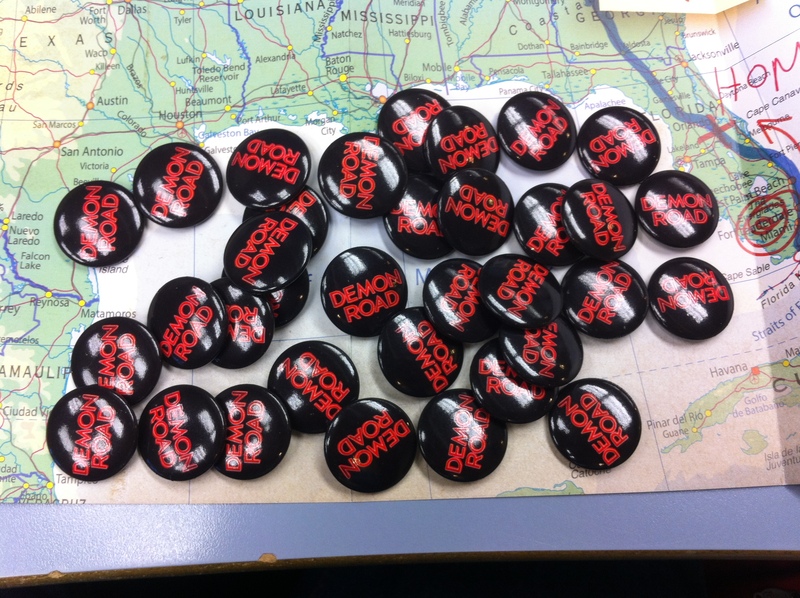 They have sent me some Demon Road Maps and button badges to give away to you lucky readers of My Best Friends Are Books. Check them out! To get in the draw for a road map and some badges just email bestfriendsrbooks@gmail.com with the subject ‘Demon Road’ and your name and address. If you are a school librarian or teacher and would like a set of 10 badges to give away to Derek Landy fans at your school please email me to and let me know. Open to New Zealand only.